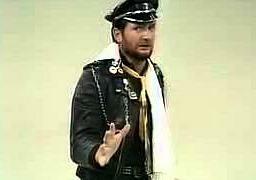 After falling out with Thames Television over the management and scheduling of The Kenny Everett Video Show (this aired from 1978 to 1981 and was renamed The Kenny Everett Video Cassette for the fourth and final series), Kenny joined the BBC. One of his complaints was that the show was competing with Top Of The Pops on a Thursday evening and managed to land himself a primetime spot on BBC1 after a successful Christmas special in 1981. 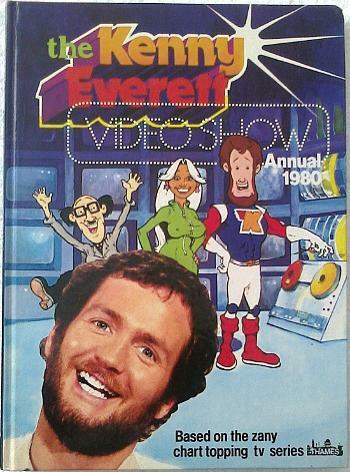 The new series was named The Kenny Everett Television Show and ran from 1981 until 1988. It was to be just as zany and anarchic as the Thames series with some very similar characters, although it was all in the best possible taste, of course! Thames Television tried to put a spanner in the works by claiming that they owned the copyright to Kenny's characters. To get around this new characters were created. For instance, Sid Snot and Gizzard Puke had very similar characteristics, although the latter was more punk than rock 'n' roll. Thames never won their case, but the new characters had already been created by the time it was resolved. General Cheeseburger was a parody of a U.S. general (possibly General George Patton) and was a mickey-take of American foreign policies. He had huge shoulders which were adorned with medals and hand grenades. His catchphrase was "We'll round 'em up, put 'em in a field and we'll bomb the b*s****s!" which was aimed at anyone who didn't agree with his ridiculous policies. Marcel Wave was named after 1920s hair style and was a lecherous French hairdresser. Amusingly, Everett covered his beard with a latex chin, despite leaving his beard on full show when playing the female characters. Cupid Stunt was the upfront bearded lady movie star and, of course, she was a prime time favourite long before Lucas and Walliams created their Emily and Florence characters. She is best remembered for her pre-Basic Instinct leg crossing and the catchphrase "It's all done in the best possible taste!". Morris Mimer was definitely one of my favourite characters and although he obviously didn't have a catchphrase, his interactions with the video pen drawings he created were always amusing. Sid Snot was an ageing Hell's Angel who always failed in his attempts to flip his cigarettes into his mouth. He always started his sketch by saying "Allo, Sid Snot, Ere". Kenny discovered he was HIV positive in 1989 and made the news public in 1993. 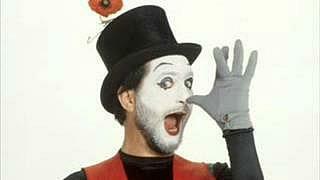 He died from an AIDS-related illness on 4th April 1995 aged 50. In this montage we see the characters Sid Snot, Morris Mimer and Cupid Stunt, as well as Kenny with Cleo Rocco and Kenny in front of the numerous TV screens. Remember this? Kenny's Snot Rap single peaked at #9 on 16th April 1983 after entering the charts at #27 two weeks earlier.